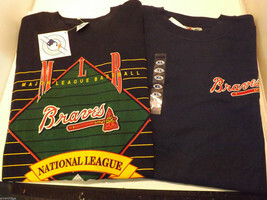 This lot of vintage Atlanta Braves shirts includes one black t-shirt from Salem Sportswear size XL. 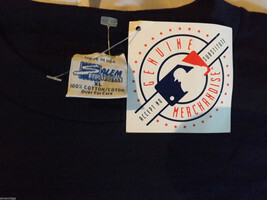 It's 100% Cotton and made in the USA, it also has tags attached and is in great condition, like new. 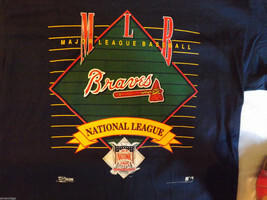 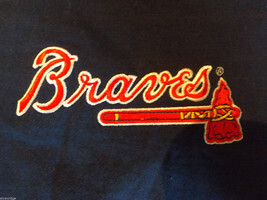 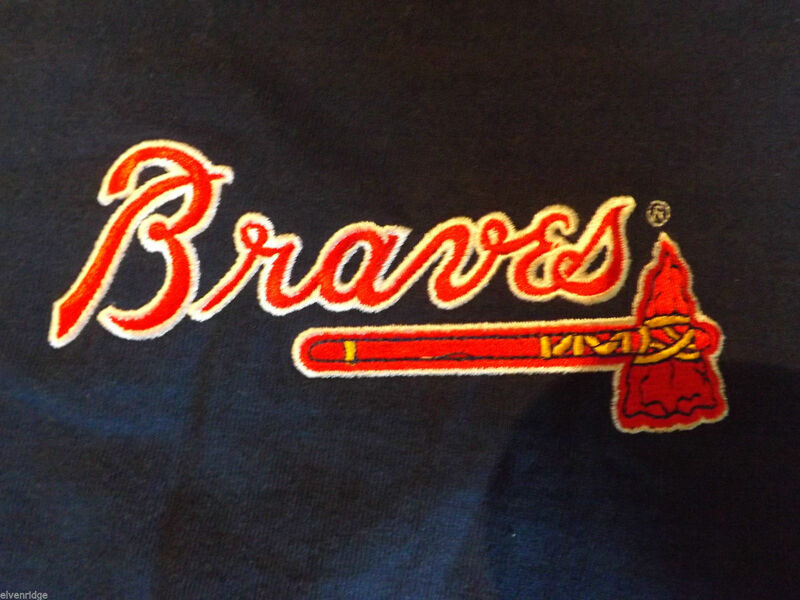 This shirt also has a screen printed design of a baseball diamond and the Braves logo on the front. 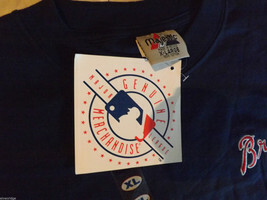 Measures 33 1/4"(L) x 22"(W). 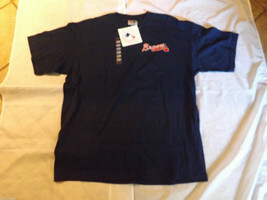 The other shirt is a navy blue t-shirt from Majestic in a size XL as well. 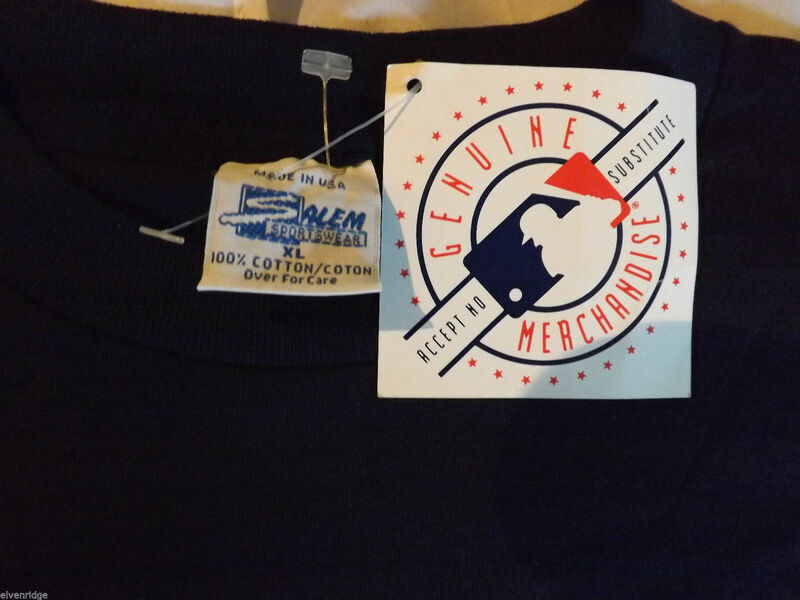 It's made in Mexico, is 100% Cotton, has tags still attached and is in great condition. 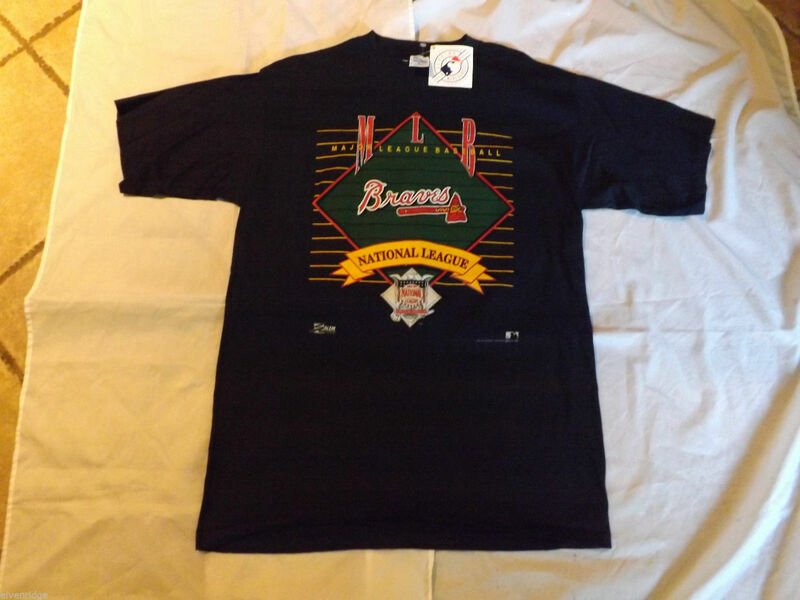 It also has an embroidered Braves and Tomahawk on left front chest area. Measures 32 7/8"(L) x 25 3/4"(W).